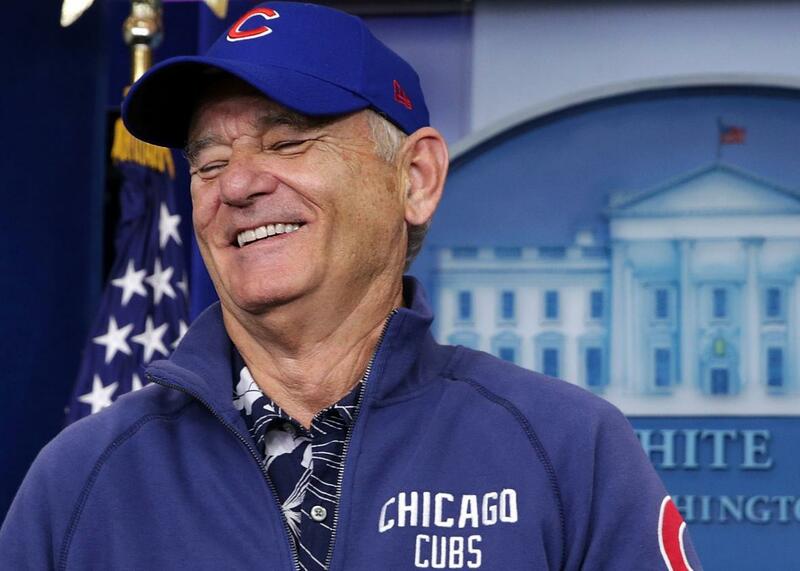 Bill Murray finally wins the World Series. Bill Murray visits the White House. The Chicago Cubs won their first World Series in 108 years Wednesday night, beating the Cleveland Indians 8–7 in 10 innings. Also a winner: Bill Murray, who embarked on a strange journey from reclusive genius to viral superstar over the course of the series, appearing in one share-worthy clip after another. While he awaits his congratulatory phone call from President Obama and the Commissioner’s Trophy for Winning the Internet, here’s a look back at the ups and downs of Bill Murray’s World Series. 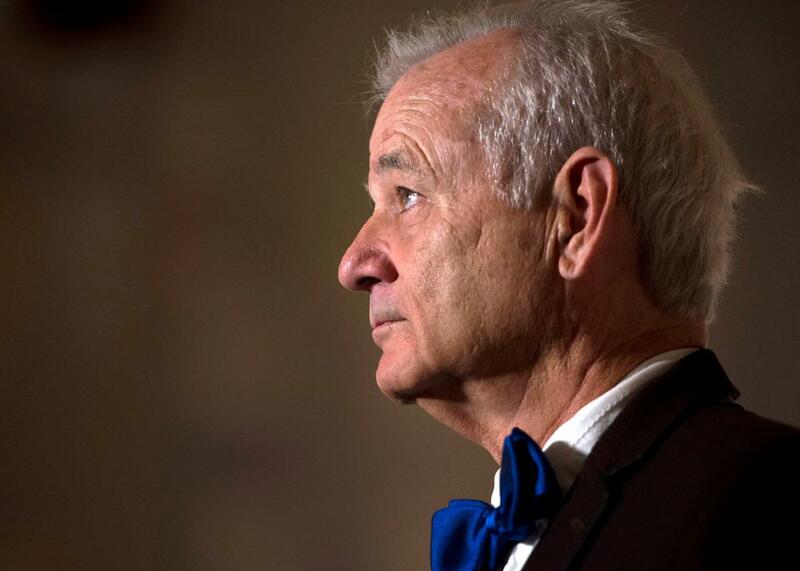 Bill Murray arrives at the Kennedy Center to accept the Mark Twain Prize. Game 2: Cubs Win but Bill Murray Doesn’t Do Anything Charming! With the series tied 1–1, Murray performs a spittle-flecked rendition of “Take Me Out to the Ball Game” in the style of Daffy Duck. The Cubs lose. After the Cubs fall behind the Indians three games to one, Bill Murray, Eddie Vedder, and Derek Trucks jam out to the Band’s classic “The Weight” at a postgame party where enthusiasm almost overcomes out-of-tune guitars. After the Cubs win 3–2, Murray celebrates by flexing his Cubs-jacketed bicep on the Jumbotron, stealing focus from Kris Bryant’s postgame interview. Karen Michel, a Cubs fan from Whiting, Indiana, visits the box office at Cleveland’s Progressive Field hoping in vain to buy a ticket. She’s told no tickets are available—at which point Bill Murray gives her his spare seat. Michel sits next to Murray as they watch the Cubs win 9–3, trading stories about growing up as Cubs fans. Bill Murray treats the Indians fans seated behind him to free beers, but, according to sportswriter Liam Boylan-Pett, insists that a guy named Kent taste the pumpkin beer first “to make sure it’s OK.” The pumpkin beer is indeed OK.
No one can say with any certainty what shenanigans Murray will get up to now that the series is over, but with six days until the election, there may still be time for him to win the presidency via a write-in campaign. Anything’s possible: The Cubs won the World Series. BILL MURRAY interviews & celebrates with the @Cubs' @DexterFowler.